AVtech team wishes to thank all of its customers for their support and for choosing a professional service provider. Please, feel free to contact us at any time with any question concerning home theater systems. 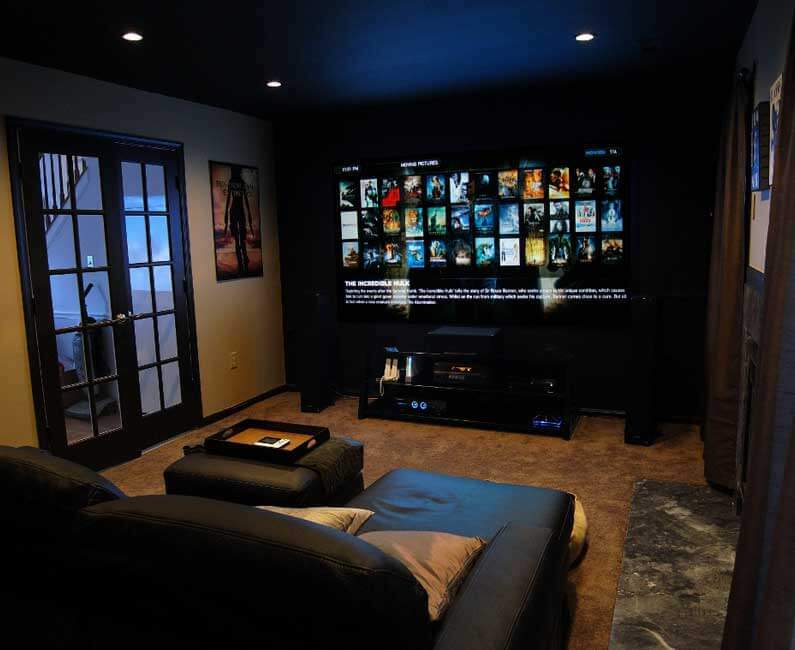 Home theater system should include the following elements: any source which radiates an ima, such as a Laptop, DVD, digital cable receiver etc. , a TV Screen (preferably a 50" flat screen LED or LCD), amplifier (receiver), and finally matching 6 speakers to the home theater system (as opposed to a stereo system which requires two speakers). 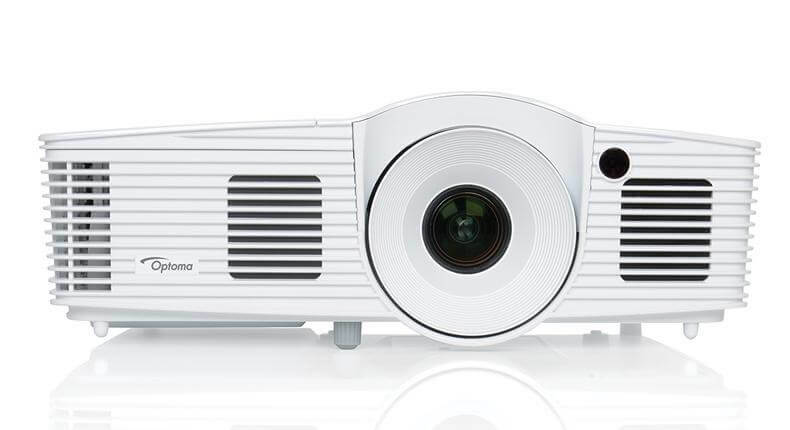 It would seem that it's not all that complicated to put together a home theater system and indeed anyone who wants to enjoy a nice quality home theater system can do so. 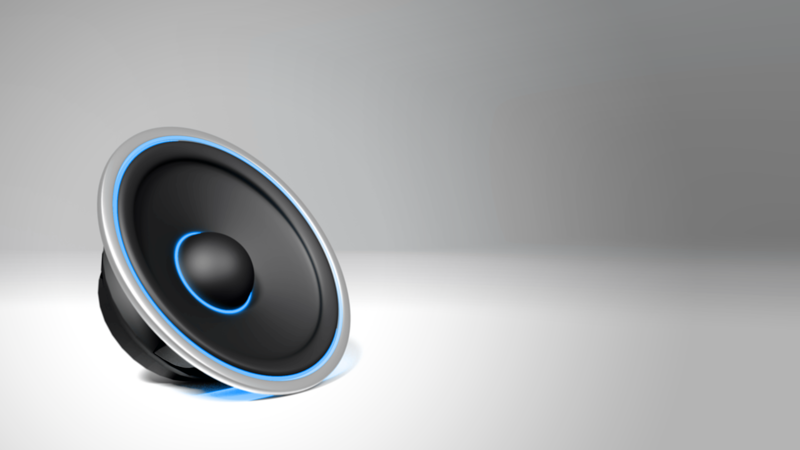 but, if you really want to get a home audio system you could call "a professional home theater system" you might want to get some advice from sound and acoustics experts. 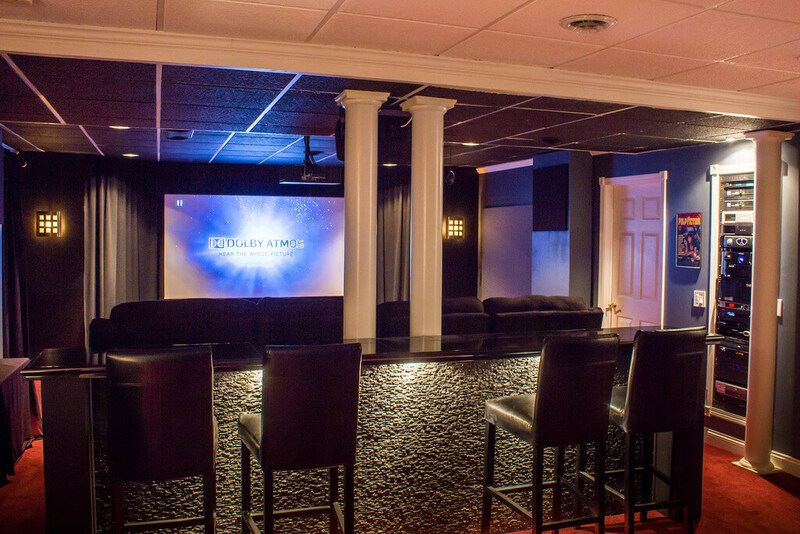 How to choose the right Home theater environment? A muted color or wall covering — bookcases are ideal — absorbs stray light. A dark gray, blue or black room is preferable, or one with heavy, colored drapes. The last thing you want is a brightly colored high-gloss paint that reflects light and effects your home theater experience significantly. You should also think about removing or covering glass framed pictures and mirrors; they have the same effect on your eyes. 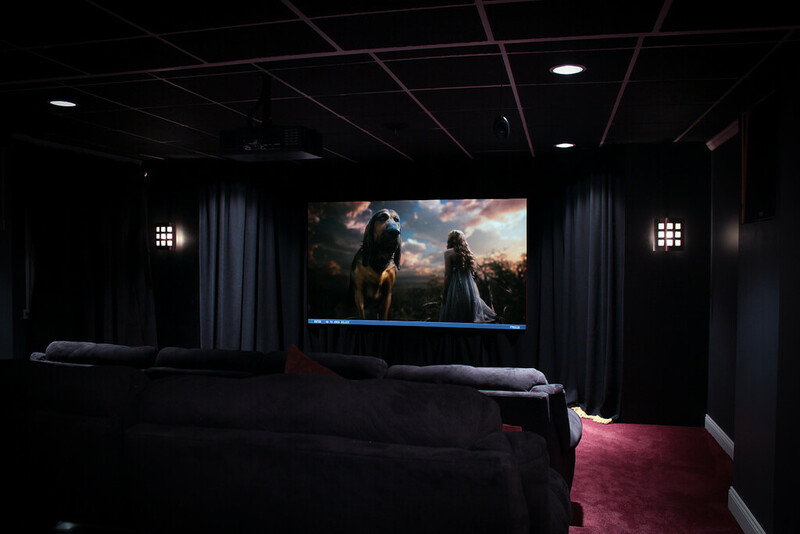 The rooms lighting, day or night, can substantially affect the home theater experience. A dark room makes the room itself "disappear" when watching a film. You should also take into account how street lights and lights from other rooms might affect the experience. contrary to common knowledge, perfectly square rooms can create awkward sound patterns. The best place to put the centerpiece of your system — the screen display (TV or projector screen) — is along the short wall of a rectangular room, preferably a wall without windows or doors. You could pull heavy curtains across an open wall when watching your display but remember – fully enclosed rooms are by far best for sound. All displays have a preferred angle of viewing you should take into account. Viewers should be seated close enough to your display but not so close that you see a grainy picture from the lines on the TV set \ projector monitor. The bigger your display, the farther back you need to be to not see these lines which produce a grainy picture. The critical factor of a Home theater system. The ideal position for seating is toward the center of the room for a simple reason – in a home theater, the couch should have enough space behind it so that the sound can get in back and truly surround you (aka "surround sound"). Most people typically place the couch up against a wall and don't realize how much more they could get out of their surround system if they would just configure and rearrange their sitting position. How do I choose a good home theater system? Many are already aware that in order to gain the maximum pleasure out of a home theater system, quality counts. A good quality Customized home theater system consists of a home theater amplifier and well matched speakers. To get the most for your money, it would be wise to take the size of the room and other important factors such as speaker sizes and location into account. The modern era has brought quite a few changes to the audio industry and best of all – now you can enjoy a high quality home theater surround system without even leaving your living room. The free market of technology and innovation, once accessible only to "the rich" which you could tap into by going to the Cinema, evolved and brought the Cinema – To you! Many people talk about home theater systems but don't really get down to the true meaning of things.